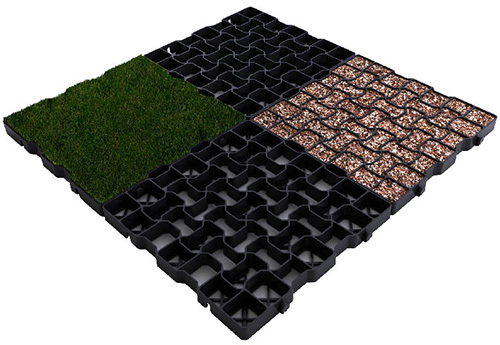 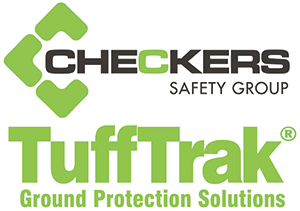 Manufactured from 100% recycled high density polyethylene and featuring an effective and simple interlocking design for fast and efficient installation, the grids can be lifted directly from the pallet as pre-connected 1m2 sections. 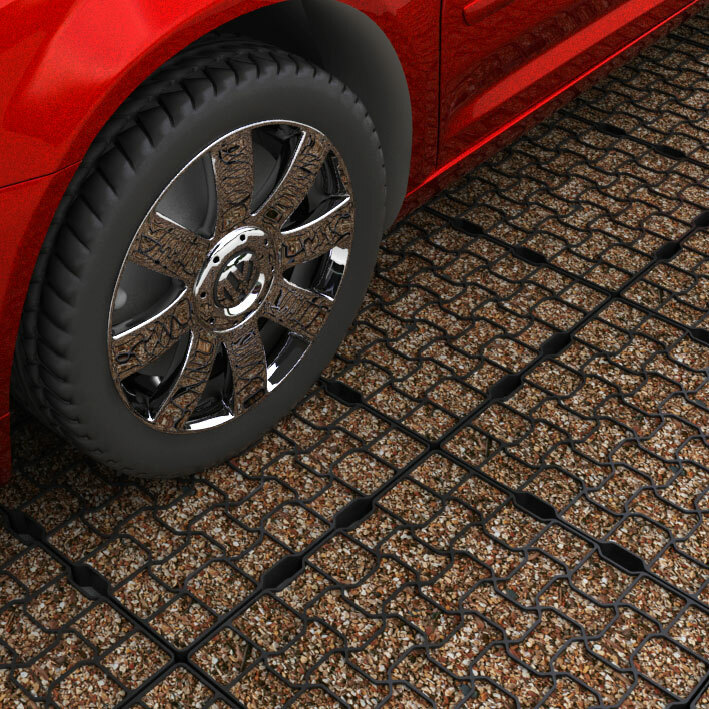 GeoGrid Standard can support loads of up to 350 tons per m2 and Premium up to 500 tons mer m2. 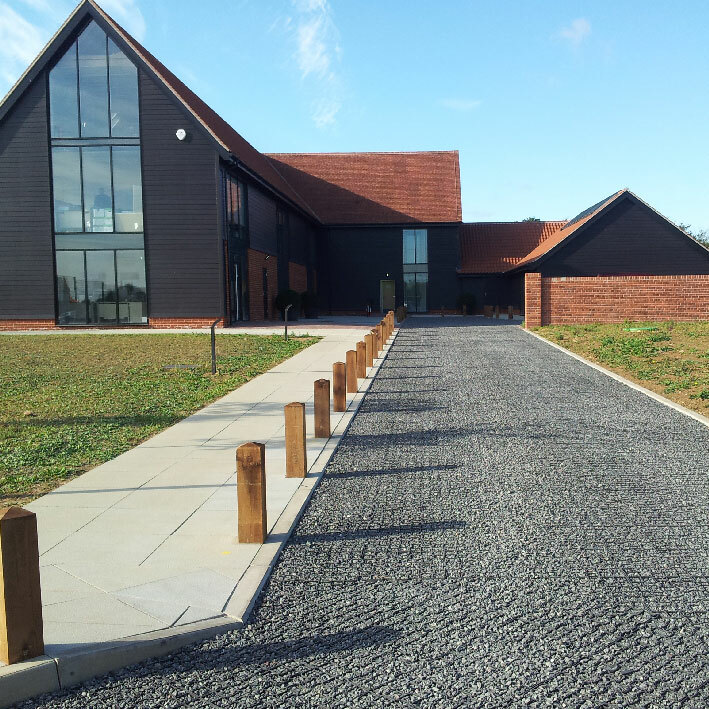 GeoGrid can be filled in with aggregate or decorative stones to provide robust ground reinforcement in areas of high pedestrian or vehicle use and can also be seeded with grass to provide an environmentally friendly and aesthetic solution. 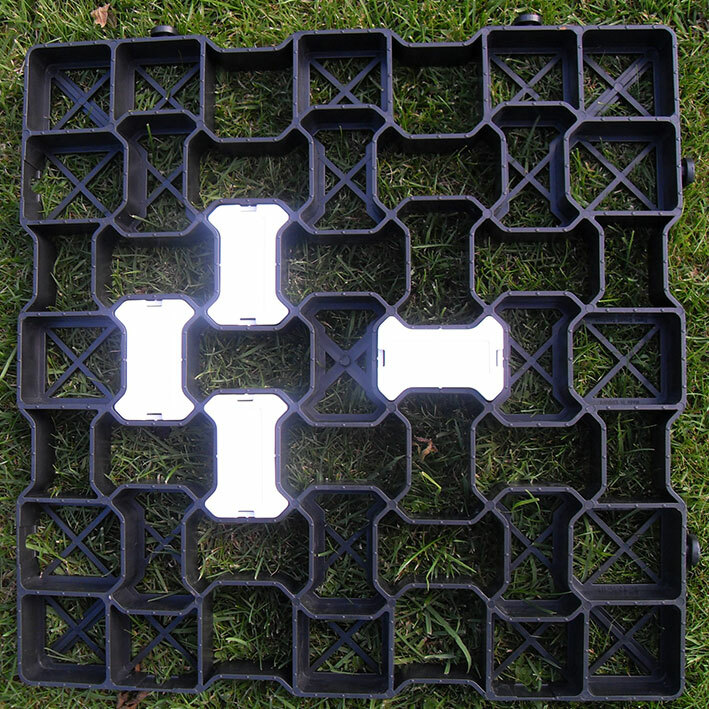 There is also an option of white or hi-vis demacration blocks ideal for use where there is a requirement for indicating specific zones such as in car parks, depot areas, disabled parking bays, and traffic flow directions. 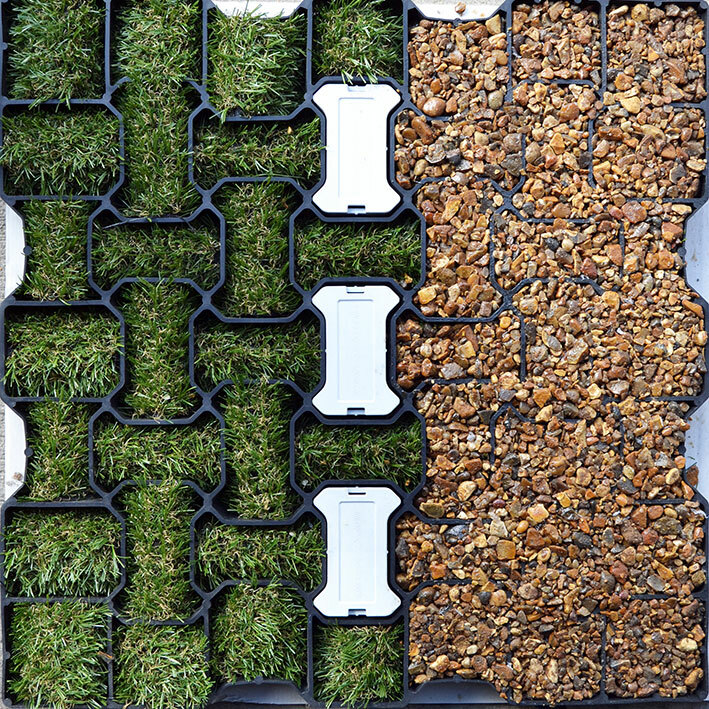 GeoGrid is an erosion control cellular paving system with a load capacity of up to 500 tons* per m2. 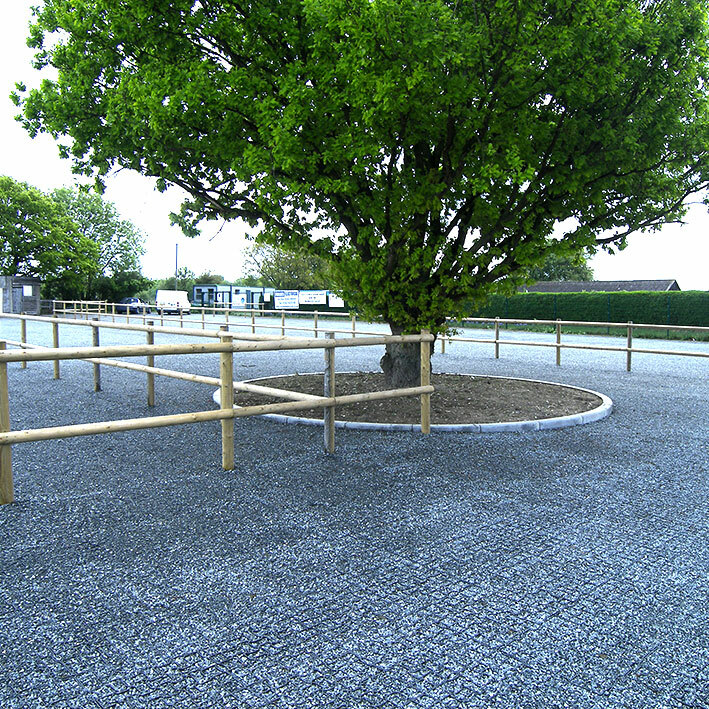 Lightweight and durable, GeoGrid is ideal for use in pedestrian areas and access routes preventing erosion and flooding in sensitive areas.